Uber’s popularity continues to grow in Denver and throughout Colorado. By logging into an app, a person can have a driver pull up right to their door to pick them up. Many people enjoy Uber’s low fares and quality service. However, Ubers have been involved in many accidents over the years, and questions always arise about who is responsible for a crash. We have written this post to explain Uber accident claims and to identify who you need to contact for compensation for your injuries. Colorado is a “fault” state, meaning that the driver who is responsible for an accident must pay compensation to victims. These rules apply even if you were involved in an Uber car accident. You are a passenger in an Uber, and the Uber driver is to blame for the crash. For example, the driver might have backed up without checking his mirrors or have been tailgating another vehicle. You are a passenger in an Uber, and another driver is to blame for the crash. Someone else on the road could have struck your Uber, injuring you. You are a motorist who is struck by an Uber driver. The Uber driver is to blame. Once you have identified the driver at fault for the collision, you will know who to contact about filing an accident claim. As an Uber car accident passenger, you will contact Uber’s insurer when their driver is at fault. Uber has a sizeable insurance policy, which should cover all of your expenses. You will submit medical bills, wage information, and other documents as requested. Get the insurance information from your Uber driver soon after the crash. 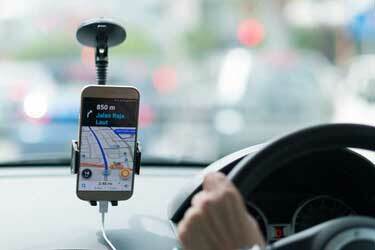 Uber drivers have a policy which provides up to $1 million in insurance coverage. Once an Uber driver accepts a ride or has a passenger in their vehicle, then at least $1 million is available in insurance coverage. You might be a passenger in an Uber, but someone else struck your vehicle. In this case, you will submit a claim to that driver’s insurer. You don’t submit to Uber unless their driver somehow contributed to the crash. This is quite a bit less than what Uber has for coverage, so your full injuries might not be covered. However, Uber does carry $1 million in underinsured/uninsured motorist coverage. So if you suffered $100,000 in medical bills, Uber should have you covered. Olson Law Firm is here to help if you have been involved in an accident. To schedule a free initial consultation, please contact us. We have years of experience and know how to obtain favorable settlements for our clients.